Family-owned and operated Horusicky Construction is a swimming pool and masonry contractor performing high-quality work in and around Beverly Hills, Malibu, Pacific Palisades, and a variety of other select communities. 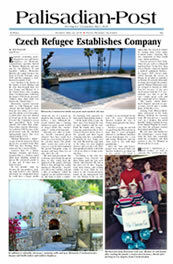 We’re the exclusive builders of the “Eco-Driven” pools and spas. We’ve combined the latest technology and pool features to make the most “Earth friendly” and ” Eco-Driven” pools and spas money can buy. From complete swimming pool and spa construction and re-plastering to outdoor kitchens and custom residential brick and stone projects of all sizes, Horusicky Construction has more than 45 years of experience and expertise you can trust. Pacific Palisades, Malibu, Santa Monica, Los Angeles, Rancho Palos Verdes, Palos Verdes, Palos Verdes Estates, Rolling Hills, Rolling Hills Estates, Palos Verdes Peninsula, Torrance, Redondo Beach, Manhattan Beach, Hermosa Beach, Long Beach, Huntington Beach, Santa Monica, Brentwood, Bel Air, Beverly Hills, Cheviot Hills, Hancock Park, Larchmont and other Westside and South Bay Cities in the Los Angeles area. We also serve San Pedro, Long Beach, Newport Beach and Huntington Beach in Orange County and in the San Fernando Valley cities such as Calabasas, Hidden Hills, Woodland Hills, Agoura Hills, Granada Hills, Northridge, Glendale, Mission Hills, Encino, Burbank, San Fernando, Sherman Oaks and Studio City was well as Pasadena and San Marino in the San Gabriel Valley. Contact Us today for a free estimate and consultation. 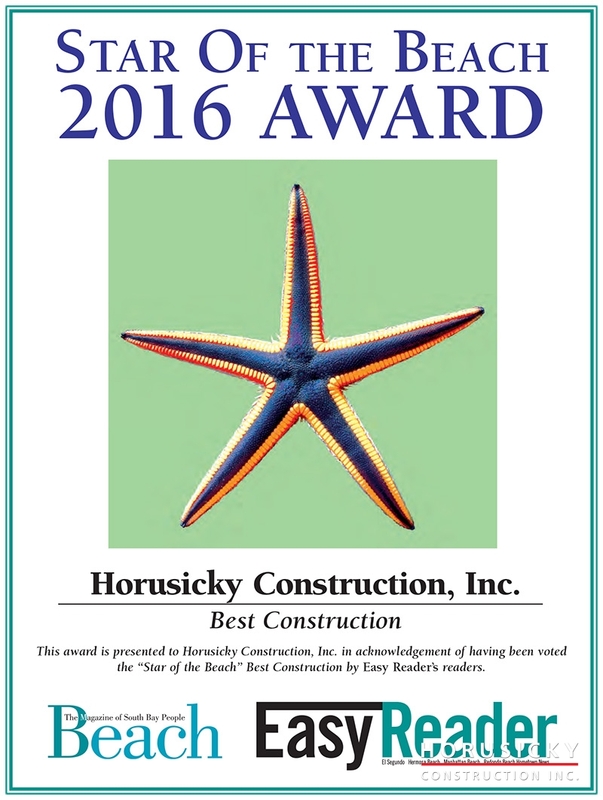 Horusicky Construction, Inc. voted "Star Of The Beach" Best Construction Award 2016!